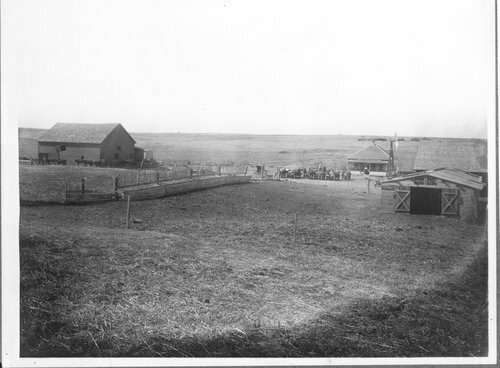 This photograph is of the John Chilton Vaughn farm located two miles east and four miles south of Selden, Kansas. The photo was possibly taken in the early 1900s. Viisble are wooden buildings, a corral and outside feeding manger, and a wooden windmill.